The new line features proprietary tech and a sharp look. Anthony Gallo Acoustics has announced that the new Nucleus Classico speaker line is now available for purchase. Along with a pair of subwoofers, you'll find two bookshelf mini-monitors, a pair of floorstanding speakers and a center channel. 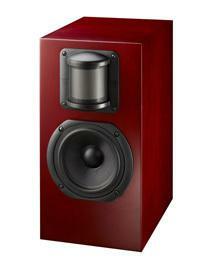 All but the CL-1 bookshelf speaker use the CDT 3 tweeter, S2 technology and the BLAST System. BLAST, or Backwave Linearization and Synchronization Technology) is designed to allow the speaker to be louder and provide better bass without sucking up any extra power. "The development of our new technologies, we found a way to bring the benefits of our critically acclaimed spheres to a box loudspeaker," says company founder Anthony Gallo. "With this, we now offer a speaker that will elegantly blend into any lifestyle or decor."